All Tony Catell knew when he broke into the university science lab was that they had a gold ingot on the premises for some sort of experiment. So he stole it. What he didn’t know was that the experiment involved nuclear power—and that the gold was dangerously radioactive. Now the cops and the FBI are on Tony’s trail, Tony’s underworld contacts don�t want anything to do with him, and the loot he’s lugging around is leaving a swath of radiation sickness and death in his path. Erskine Caldwell on STOP THIS MAN! : "I couldn’t put this book down!" "As cold and clean as a knife...terrific." 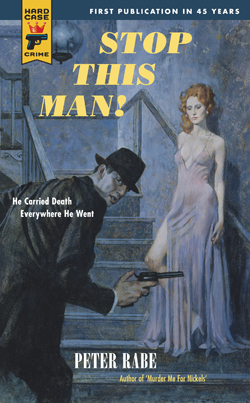 "He had few peers among noir writers of the 50s and 60s; he has few peers today." "One of the most gifted writers of paperback originals, writing some of the best crime fiction to come out of the 1950s."